What is SEO and what is a SEO-friendly content? 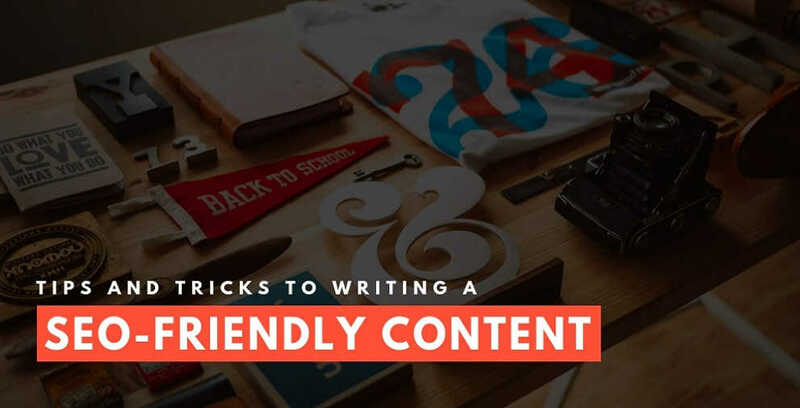 A SEO-friendly content is a brief piece of write-up written strategically for generating more effective SEO-results in the long run. Remember, a quality SEO-friendly content has all the potentials in the world to up your site ranking on a search engine results page. So how can you create a decent SEO-friendly content in a few simple steps? Let’s see. Your article must seem as if you are addressing your reader directly. This helps in building a more personal connection between the author and the reader which automatically makes the article more engaging from the reader’s point of view. Remember, your audience won’t like to read a bland piece of content as if it is taken straight out of the pages of a textbook. They want something exciting; something that speaks to them, no matter what the topic is. And this is the only way you can achieve that unless you are writing a boring lab report based on thermodynamics for a bunch of freshers in need of the same. Yes; you should definitely have certain key terms and phrases in your content, but that doesn’t mean you should OVERSTUFF them. No; no way! Overstuffing keywords is a very bad SEO-practice. It can penalize you to the point of no return. You need to be patient while playing this game. As I said, strategic placement of keywords is the key. Use 1-3 keywords in your content that are relevant to your niche; no more, no less. Use one keyword in a sub-heading, and one in the body, preferably in conclusion. Do not use the keywords in the article heading and the introductory paragraph. Do not force the keywords in. They should appear naturally in your content. Avoid using them, in case natural inclusion becomes a problem. If you want to generate the maximum impression on your audience, you need to do something unique; something that makes you a standout among the crowd. Try to base your article on a topic that’s not readily available on the internet. And then, if you can offer a bit of your own spin to it, you can create something fascinating right out of nothing. A credible article can generate more SEO-friendly results in the long term. Placing relevant and reliable hyperlinks in your article as references can serve this purpose effectively well. Note: Try to keep the number of hyperlinks between 2 to 3. Do not overstuff hyperlinks because it can create distractions during the read. Your article should not be based ONLY on text because that’s honestly boring unless you insert a few relevant images or videos in between. Remember, relevant videos and photographs are as important to your audience as your text. So from next time onwards, try to keep a well-maintained balance between textual and visual information to benefit more in the long run. Write short sentences comprising of 6 to 12 words. Write short paragraphs having a 3 to 4 sentences at most. Include subheadings. A 500-word article should ideally have around 6-7 subheadings. 1000 should double the amount. Write short, crisp, and to-the-point sentences. Avoid using flashy words. Your readers don’t want an English tutoring session unless the topic is directly based on it. Include harmless humor, if possible. And finally, do not promote anything DIRECTLY. Be informative in your approach, and you will definitely see the results in due time. So that’s it then. Hope the tips and tricks mentioned above come in helpful for your purpose. Goodbye and good luck!